This is a great quality matching necklace and earrings jewelry set. This is fashion jewelry designed to last! THIS PRICE IS FOR TWO JEWELRY SETS! 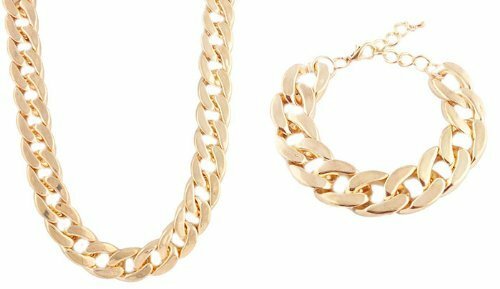 This adjustable 16mm Cuban chain necklace measures 22 inches. This adjustable 16mm Cuban chain bracelet measures 11 inches. Great Quality Jewelry!